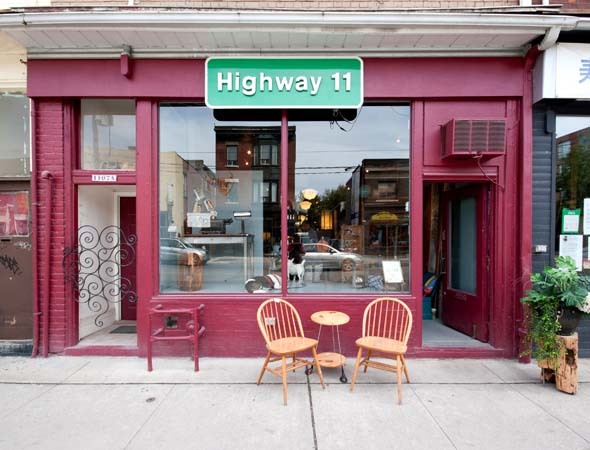 Highway 11 in Leslieville is a new shop that offers an unusual mix of rustic furniture, pop collectibles and antique knick-knacks - but it's enough to confuse even the most regular Queen East shopper. The store is filled with some pretty great bargains, including a significant collection of cowboys and indian pulp magazines for $15 each and vintage pulp novels for $5 each, featuring such stories as The Case of the Shoeless Shoe, and Murder on the Merry go round. I also liked the variety of different Canadiana photos, posters, metal signs and unframed paintings available that could look really beautiful and striking in the right environment. 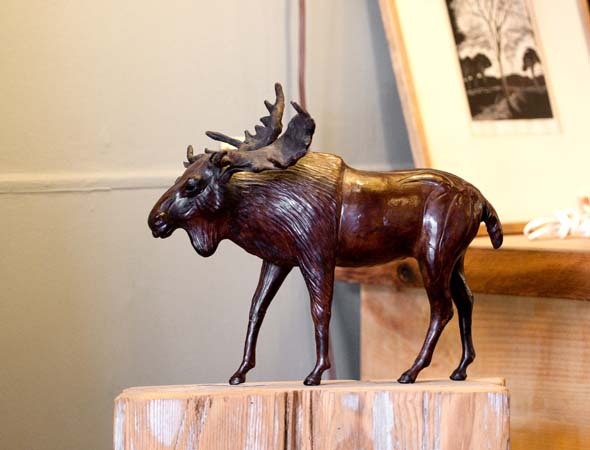 This theme of classic Canada flowed through most pieces in the shop and I appreciated that it never become souvenier-ish, but rather stayed firmly on the side of folk and antique. But, buried underneath all the fun stuff lies Highway 11's bread and butter. At first I didn't really notice what all the product was sitting and displayed on until I realized that they also had price tags attached to them. Turns out, I was looking at a large reclaimed desk/table for $650. Another shelf revealed itself to be a reclaimed barn dresser for $980, another was a Cyprus root coffee table with glass top for $400 (marked down from $500). 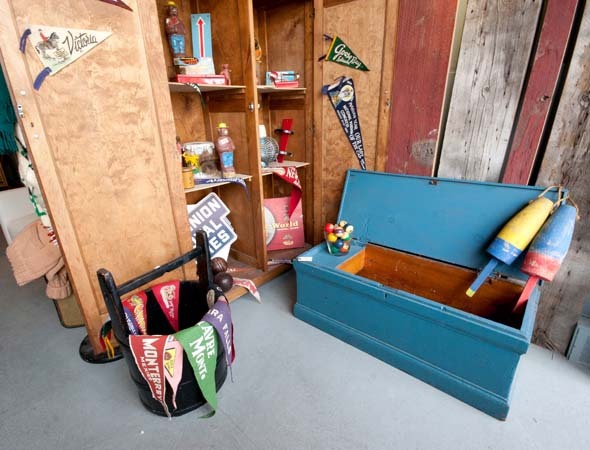 Once I realized that all the furniture was for sale, I became a little irritated that there was so much stuff over everything, making it harder to look at the actual pieces. I also didn't like that the price tags didn't includes sizes or dimensions, making it hard to describe most of the furniture as anything except large. Most pieces had a really strong masculine vibe. 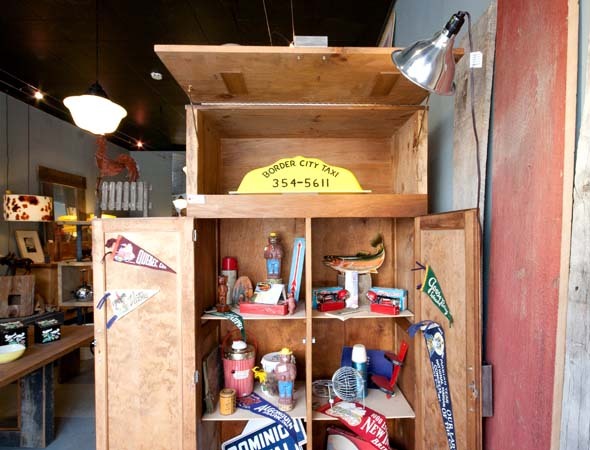 I don't think you'd want too many of these pieces in one place, but some items - including the four shelf, reclaimed wood shelving unit for $1250 that would make a terrific statement if you have the space. 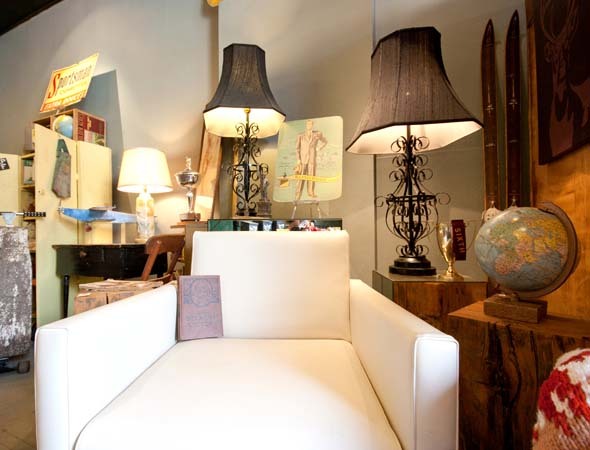 There was more to look at than just wood furniture, as I was also drawn to a really attractive club chair, advertised as newly reupholstered for $550, marked down from $650. Eventually I started to ignore the Canadian paraphernalia and started to focus on the furniture because that is what makes this store really stand out. 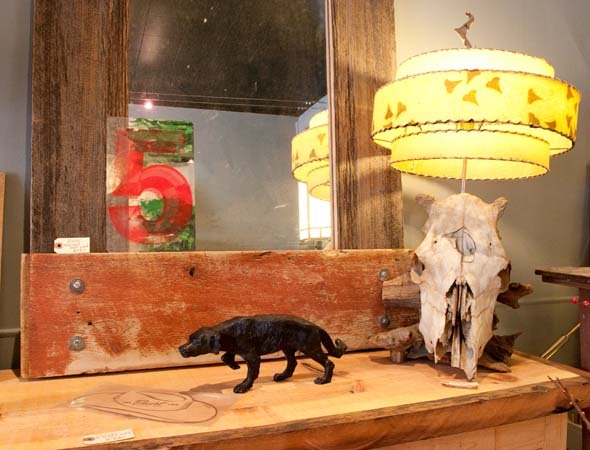 There is a large collection of different lamps including a 1940s metal desk lamp for $180 and a fun glass impala lamp with new shade for $225. It seems a bit steep for a lamp, but I liked that there was a bit of substance and personality to these items. The beautiful furniture, combined with the pretty neat Canadian paraphernalia made me think that the store was suffering from a bit of an identity crisis. Often, I was never able to get a good look at the furniture or I'd be so distracted by the original décor items that I didn't notice they were sitting on a beautiful table or shelf unit. I liked looking at the knick-knacks and they were all reasonably priced, but it just didn't jive with the furniture. It was basically two stores in one - in fact, two really good stores in one - but together I was left a bit frustrated overall.